Jordy Liz Blogs: Selfish expectations. Last Christmas, I had my heart set on diamond stud earrings. I rarely even wear earrings but I thought if they were special, nice studs, I would get a lot of use out of them. So, I made sure Chris knew these were on my list. I typically don't tell him what I want outright because I like to be truly surprised and see what he will find. I had made it easy for him this time. Several days before Christmas, he came home with a small box. He hid in the back room and wrapped it up, and then came back down the hallway and placed it strategically under the tree. It was right there: a small, gift-wrapped box. I was certain, absolutely certain, they were diamond earrings. What else could they be? I hadn't hinted at anything else. We opened our presents on Christmas Eve. I handed him presents I had spent weeks selecting, and he handed me the small box, giddy and excited. As I was opening it, I was envisioning the earrings, so excited he had come through with an incredible gift. I carefully opened the paper and the box underneath told me everything. It wasn't jewelry. It was perfume. My face said it all, and as much as I tried to hide my disappointment, I couldn't. He read it like a book and sunk back into the couch. "Perfume," I said, doing my best to force my lips into a smile. I was embarrassed at my own reaction. "You don't like it," he said, obviously hurt. "I do. I just, I thought..."
"You thought it was something else." "Yeah, I did." And that ended the most awkward gift exchange I've ever participated in. In my head, I had told him exactly what I wanted. I already had at least five bottles of perfume, so why would he think I needed another one? Later, when I came to my senses and apologized, he explained why he had bought the perfume. It was Taylor Swift's brand and I, we, love Taylor Swift. It had a bird on it and I love birds. The smell reminded him of me. And I hadn't even thought about why he was so excited to give it to me, nor did I ask. He knew what I had really wanted, but he also knew we weren't able to afford it. I had doomed him to fail from the get-go. By expecting the diamonds, I had determined anything else would be inadequate. I knew they were over our allotted price range for gifts, but I thought maybe he would surprise me with them anyway. Because I was being selfish. And inconsiderate. I had set up unrealistic expectations he couldn't afford to reach. How often do we do this in our marriages or relationships? Christmas gifts aren't the only culprit. I expect flowers on my birthday, so the hand-written letter within the sentimental card is all of a sudden not good enough. After spending an hour cooking, I expect him to do the dishes at least before we go to bed, so when they are still there in the morning, we start out the day on a rough note. I expect him to say something when I dress up particularly nice, and when he doesn't, I take that to mean I don't look as good as I thought I did. And you know what? He has very few, if any, expectations of me aside from those we made in our vows over two years ago. My expectations of him come from selfishness within me, and we're never going to win at this marriage gig if I keep setting us up to fail. He's not meeting my expectations, because I'm the one setting them. And when I set them, I don't tell him. I expect him to know, but he can't read my mind, and we repeat the cycle over and over and over again. 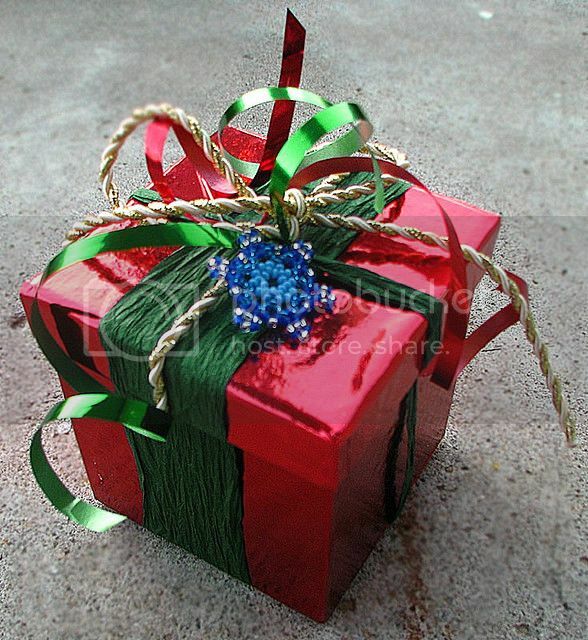 I can't stuff my expectations into a small gift-wrapped box. I have to make realistic expectations and I have to communicate what I need. I have to do each of these with love and fairness. And by the way, I love the perfume. How do you manage your expectations in your marriage or relationships? "Expectation without communication always leads to frustration"
Direct. Hit. Such a good and needed reminder... probably every day. "My expectations of him come from selfishness within me, and we're never going to win at this marriage gig if I keep setting us up to fail. He's not meeting my expectations, because I'm the one setting them. And when I set them, I don't tell him. I expect him to know, but he can't read my mind, and we repeat the cycle over and over and over again." Takes years for some of us to realize what you wrote today! I've been married 40 years in two weeks and I finally learned to not expect anything special, or ordinary for that matter, because he wasn't wired that way. then all of a sudden the man who wouldn't do dishes, has started doing dishes after the kids grew up and cooking too, he started sending me flowers for odd occasions- once he figured out flowers brighten my day- took a while, like 20 something years! and he once bought me jewelry that i saw in a catalog just because I saw it and showed it to him- ordered it on the spot! ha. God does have a lovely sense of humor at times. But the flat truth is that I realized that God was who was going to meet my expectations and my needs every time and that I was unreasonable to expect my husband to meet my expectations, it put a burden on him that he would never be able to meet- after all he's human just like me. I'm not so good at meeting expectations either. It's a lot of pressure to try to please someone else by their rules! This is an excellent post! It's so true, and I often set my husband and others up for failure with my expectations. In fact, it just happened this week. Thanks for this awesome reminder. Ditto Nancy....this is an amazing life "lesson" most never really get :0). It is good you are starting out on the right for from the git go...it will save you a lot of head aches later on :0). I think my hubby and I manage expectations in our relationship in that we honestly try not to have any :0). We have been married for 23+ years and together for nearly 30 so we know each other so well. Many years ago I realized that mu hubby was not going to change his personality so I just had to love him for how he is not how I thought he should be. Turns out, he is a very nice guy...loving, serving, very protective, and an awesome Dad. He has his faults, I certainly have mine :0)...we overlook a lot! ENJOY these early years...so fun and amazing! I feel like you just grew up before my very eyes :) haha.. It took me a couple of failed relationships to learn this, but I eventually did and it makes quite the difference. It applies to everyone too, not just significant others. Thanks, Becky! I am glad I am learning it early on so I let go of the selfishness for the long haul. I appreciate you stopping by! this is great. i've found too, there are a lot of expectations that pop up for me that are mostly social constructs, rather than things i thought of, or even realized i had. sometimes people ask me, what plans do you have for the 4th of july/memorial day/this long weekend? and i'm like...we don't really do that. but i immediately feel like we Should. or, we don't have an anniversary, and he's not into birthdays or presents for himself, but when i don't plan something, force a gift or a celebration on some "---- Day" i feel like i'm "missing out"--without even checking to see if he's happy with it or not! i guess i am missing out after all- on my partner's message and philosophy, that *every* day is great and worthy of celebration, not just the few other people have scrawled on our calendar every year. anyway. this is a great post, great reminder. thanks! Yes, expectations definitely don't just come in relationships. You make such good points! Thanks for sharing.